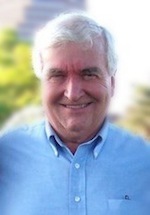 Gregg Cunningham earned a BA degree from The Pennsylvania State University and a JD degree from The Ohio Northern University School of Law where he served as executive editor of the Law Review. He is the co-author of a handbook on attorney misconduct entitled “Ethics And Discipline In Ohio” (Ohio State Bar Foundation, 1976). He is a former two-term Member of The Pennsylvania House of Representatives where he introduced legislation which ended public funding for abortion. He was also a prime sponsor of the Abortion Control Act which was litigated before the U.S. Supreme Court in Thornburgh v The American College of Obstetrics and Gynecology. He later helped direct the ballot initiative campaign which stopped public funding for abortion in Colorado. During the first Reagan Administration he served as a political appointee in the U.S. Department of Education and later in The Office of Legislative Affairs with the U.S. Department of Justice in Washington, D.C. He next served as a Special Assistant U.S. Attorney for Los Angeles. He is a retired U.S. Air Force Reserve Colonel with six years of active duty service and twenty-five years in the ready reserve. He is also a decorated veteran of the Vietnam War. Lois Cunningham is a public health nurse with a background in school nursing and maternal/fetal health. She helped establish two crisis pregnancy medical clinics in Los Angeles County (in Glendale and Hollywood) and served from 1988 to 1995 as the Executive Director. Mrs. Cunningham now serves as the Director of Crisis Pregnancy Outreach for the Center for Bio-Ethical Reform. In this capacity, she offers consultation to crisis pregnancy centers across the country, training them to convert to medical clinics and to be more effective in reaching and meeting the needs of abortion-vulnerable women. She is a frequent conference presenter for National Institute of Family and Life Advocates (N.I.F.L.A. ), a national organization which provides legal services for crisis pregnancy centers. In addition, Mrs. Cunningham is a regular seminar presenter for ALSUP (Advanced Life Support for Unplanned Pregnancies), an association which trains physicians and allied health care professionals to care for patients facing crisis pregnancies. This cutting-edge course is modeled after other advanced life support courses which have long been integrated into medical and nursing training. Mrs. Cunningham directed a task force to establish Choices Medical Clinic which opened December 6, 1999 and is located in Wichita, Kansas. This crisis pregnancy medical clinic is located next door to the largest abortion facility in the Midwest, one which specializes in late term abortions. Darius Hardwick is the Regional Director for CBR’s Midwest Operations, based in Columbus, Ohio. Darius has been on the CBR staff for more than 7 years, having previously served as the Director of CBR’s Northwest Operations. 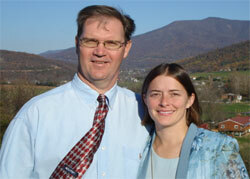 Darius and his wife Janet were first exposed to CBR’s abortion imagery in 2004. They were both nominally pro-life but not actively participating in the struggle for life. Then they saw the pictures. They could not sleep. Abortion pictures were all they thought of for weeks. They became monthly financial supporters and began to volunteer with the Genocide Awareness Project. The more he volunteered, the more he knew that he must make saving babies his full-time occupation. The other side has made killing babies a full-time profession, but we have made saving them a part-time hobby. This is a huge problem, and Darius knew he had to be part of the solution. Darius had owned his own construction business in Oregon for 10 years. He had a substantial client base and was always busy, regardless of economic conditions. But he was not at peace laying beautiful hardwood flooring, while babies were being killed every day. After serving in the Northwest for a time, he moved his family of to Columbus, Ohio, to serve as a Project Director in CBR’s Midwest Operations. Having previously served as the Northwest Operations Director, Darius brings outstanding leadership skills to his new role in CBR. He has directed CBR’s Genocide Awareness Project at some of America’s largest and most influential universities. Darius and his family are dedicated to showing people the truth of abortion and are excited for the future and all that God has for them. We are excited that Darius and his family are on our team. Bill Calvin earned a Doctor of Science in Chemical Engineering from Washington University in St. Louis. After a 30 year career in engineering and research, he took early retirement in 1999 to do full-time pro-life ministry. Bill and his late wife Linda founded Friendship Crisis Pregnancy Center in New Jersey. He also served as President of New Jersey Right to Life Educational Foundation, the Legal Center for Defense of Life, and Lifenet (which provides pro-life and abstinence education). Bill joined the CBR staff in 2003 after a decade as an active volunteer. In 2004, he spent 33 weeks on the road in 18 states from Florida to Colorado providing onsite leadership to CBR’s Key States Initiative. In 2005 he moved to Kansas City where he also serves on the Advisory Board of Cures Without Cloning (fighting embryonic stem cell research and human cloning) and as President of Wyandotte Pregnancy Clinic. 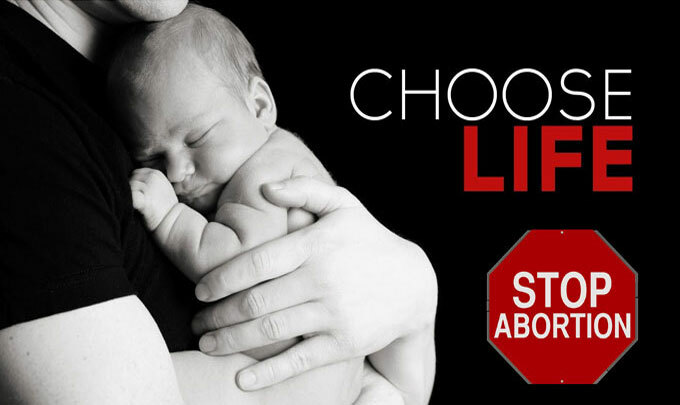 Bill has spoken out for the sanctity of human life on ABC, NBC, FOX, CBS and PBS news programs. He also appeared in the FOX documentary Abortion – the New Civil War and in the British-made documentary My Fetus broadcast in the United Kingdom and Australia. Bill is constantly blessed by his time with his grandchildren: Megan, Susannah, Heather, Emma and Joshua. Fletcher Armstrong received a B.S. in Engineering from the University of Tennessee in 1980 and a Ph.D. in Engineering from Clemson University in 1987. He has extensive management experience, having planned, budgeted, and directed projects up to $2.3 million for government and commercial clients. Reporting to the CEO of a national environmental services firm, he directed the production of proposals for multimillion-dollar contracts. 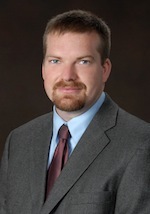 Fletcher is formerly the President of Tennessee Right to Life (TRL), Knox County Chapter. By aggressively implementing the principles taught in CBR’s Reinventing the Pro-Life Movement seminar, the Chapter doubled its budget and staff over a 1 1/2-year period. More importantly, the Chapter presented the visual Harder Truth about abortion to literally thousands of people–both young and old, Christian and secular. Despite the normal amount of fear and trepidation, the Knox County Chapter was the first Right-to-Life affiliate to host CBR’s Genocide Awareness Project (GAP) on a university campus (University of Tennessee, November 1998). 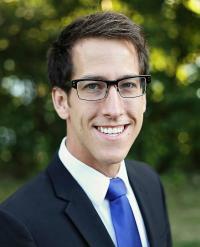 Fletcher is a student of the Old Testament, having taught Bible studies on Daniel and Revelation. His favorite study is “Jesus in the Old Testament,” in which he highlights major prophecies of the Messiah of Israel, both as declared by the prophets (e.g., Isaiah 53) and as “pre-enacted” by OT characters (e.g., Genesis 22:1-19; Numbers 21:4-9; and Ruth). The books of Jeremiah and Ezekiel compel Fletcher’s commitment to stop the killing of unborn children. In these books, God revealed why He judged Israel–it was because they systematically slaughtered their own innocent children (Jer. 19:4-9, 32:35-36; Ezekial 16:20-21, 35-41; and also Psalm 106:34-41). Fletcher is a 7th-generation Tennessean and a member of Tennessee’s First Families. He lives in Knoxville with his wife Becky and son Chad. He is an unrepentant Southeastern Conference football fanatic. His idea of nirvana is to share an autumn Saturday afternoon with 85,000 of his closest friends! Since the summer of 2014, Nick serves as the Canadian Centre for Bio-Ethical Reform’s president. Steve Holck has been an activist in the pro life movement for over 18 years. Prior to that, he thought abortion was OK and was personally responsible for many. Then he saw the graphic pictures of abortion which shocked him into an in-depth investigation of exactly what abortion did to a child. He remembered back to the 70’s when he was told by Planned Parenthood staff that there was no pregnancy and there was just a blob of tissue to be removed. He realized that they had actually lied to him. After years of pain following the realization of what he caused and the damage that had been done, he embarked and collaborated with every pro life group in Hawaii and the Nation – from Pregnancy Centers to Right to Life groups to the Marches for Life and legislative lobbying. 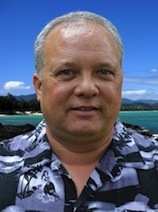 Steve founded Aloha Pregnancy Care & Counseling Centers in 1998 and served as President of the Board for several years. Over 3,000 babies have been saved through this important work. Frustrated at the slowness of the pro-life movement, Steve discovered CBR and joined the organization because it is one of the best, hardest-hitting, most devoted group of people devoted to social change with regards to abortion in the United States today. Fighting abortion is a spiritual battle as well. His lovely wife, Wendy, who joined him in battle, was recently killed by birth control pill hormones used to help her menopause issues: www.preventDVT.org. As soon as abortion is criminalized, Steve will return to surfing at Waikiki. Steve is a graduate of the University of Hawaii and the Kamehameha Schools. Steve left the corporate world several years ago to concentrate full time on the fight for the life of the innocent. Michael was born and grew up in a Christian home in Orlando and graduated from the University of Florida in 1979 with a B.S. degree in Business Administration, majoring in Real Estate. After three years as a landman for oil & gas exploration in northeast Ohio, he attended Grace Theological Seminary in Indiana from 1982 until 1985 before returning to the real estate business in Orlando. Michael adopted the pro-life viewpoint during his junior year at UF under the influence of his pastor when he heard biblical teaching about abortion from the pulpit for the first time (5 years after Roe v Wade). After occasional participation in largely symbolic pro-life projects for years, he was introduced to the work of CBR in 2002. His involvement in CBR’s effective pro-life action steadily increased until he became the Florida Regional Director in 2005. Besides bringing the “CHOICE” trucks throughout Florida from Miami to Pensacola and Jacksonville to Tampa, and helping with the aerial tow-banner campaign in central Florida and along both the Gulf and Atlantic coastlines, Mr. Schrimsher has also worked with various student groups in cooperation with other CBR regional directors to bring the Genocide Awareness Project to all 10 of Florida’s major public universities. He looks forward to joining in efforts to confront corporate sponsors of abortion and helping to mobilize the church against abortion. Closure of an abortion mill. Started the Seacoast Crisis Pregnancy Center, Dover, NH. Chairman of the Board, Seacoast Crisis Pregnancy Center, Dover NH. Won First Amendment rights case against the Wilmington, DE, Police Department for using graphic signs outside Planned Parenthood. Jailed for standing up for their Catholic faith and for the defense of the unborn during President Obama’s 2009 Commencement Speech at Notre Dame. Weekly sidewalk counseling at abortion mills. Weekly Highway and Byway Project (HBP) which is the display of graphic photos of aborted babies along streets. Genocide Awareness Project (GAP) at universities. Public Awareness: Fearlessly showing the reality of abortion at universities with the Genocide Awareness Project (GAP) and along roadsides using large graphic pictures of aborted babies. Education: Providing programs at churches, schools and organizations on prenatal fetal development and abortion; starting and supporting pro-life groups at high schools and colleges. Sidewalk Counseling: Providing women alternatives to abortion while offering them the support they need to make a decision for life. Kurt and Samantha believe saying you’re pro-life is not enough … it is essential that we live pro-life … personally, publically and politically. The Linnemanns have 4 children. Abra Singleton was raised in a Christian pro-life home. Except for debating abortion online and attending a few protests, she was not very active in the movement. It wasn’t until she became pregnant with her daughter in 2013 that a passion was ignited in her to actively fight to end abortion. Seeing her daughter’s ultrasound cemented in her mind how unnatural it is for a mother to abort her child. Abra began volunteering for a pro-life organization, raising money, handing out pamphlets, selling tickets to pro-life events, and conducting research. She also attended speaking engagements, marches, and protests. She began sidewalk counseling in September 2015, and that is when she met and befriended many more people in the movement. She has always believed in the use of abortion victim photography, which is what attracted her to CBR. Abra applied for the position of Southwest Regional Director after an activist friend of hers gave her a flyer regarding the opening. Abra left her career as a case manager in June 2017 to join the full-time staff of CBR. Fighting to end abortion on a full-time basis is a dream come true for Abra. 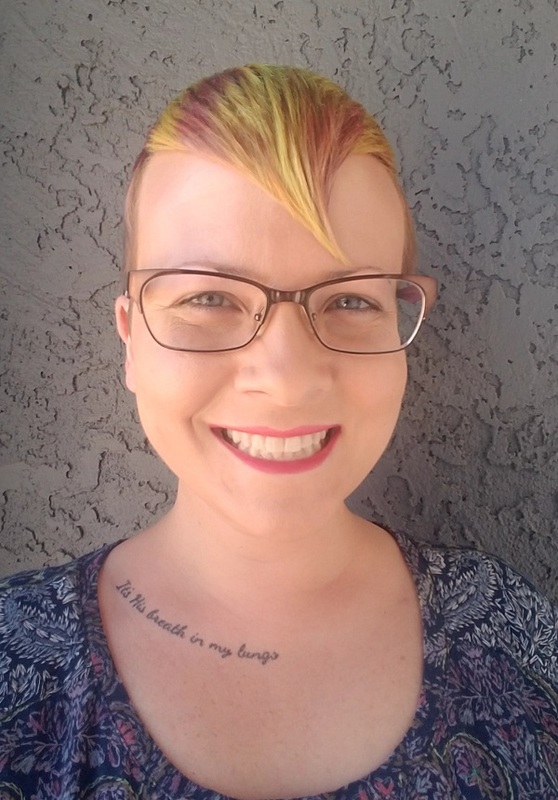 Abra has a Bachelor’s in Human Services/Management, and has years of experience working with vulnerable populations.